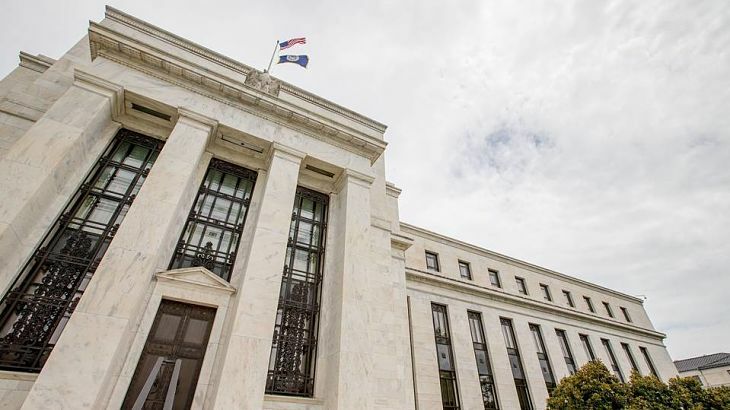 The U.S. dollar-related exchange traded fund slipped slightly against a basket of major market currencies on Friday after the USD jumped to a 14-year high in response to the Federal Reserve’s monetary policy decision. The PowerShares DB U.S. Dollar Index Bullish Fund (NYSEArca: UUP) fell 0.4% Friday after reaching an all-time high in the prior session. The currency ETF rose 2.9% year-to-date. UUP tracks the price movement of the U.S. dollar against a basket of currencies, including the euro, Japanese yen, British pound, Canadian dollar, Swedish krona and Swiss franc. The US Dollar Index (DXY), which follows the greenback against a baske tof six major currencies, was last at 103.14, just shy of its 14-year high of 103.56, on Thursday, reports Sam Forgione for Reuters. The Dollar Index was hovering around 102.82 Friday. The Index experienced its best daily percentage gain of 1.2% in six months Thursday after the U.S. central bank raised rates for first time in a year and signaled that it would likely hike rates three more times next year. The euro currency also nearly reached a 14-year low against the dollar, trading at around $1.0364 Thursday, with some traders expecting the EUR to reach parity to the USD within the next 12 months. The dollar hit a roughly 10-1/2 month high of 118.66 yen.